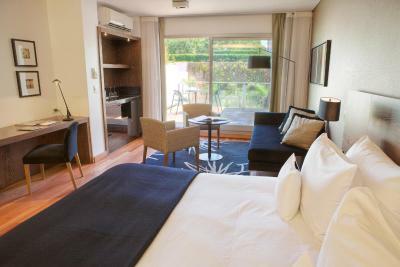 Lock in a great price for Fierro Hotel Buenos Aires – rated 9.4 by recent guests! Excellent, made to order breakfast. We liked the location. Several good restaurants within walking distance. We were out several times at night and never felt at-risk. The staff was excellent, from restaurant to the front desk. We got a ton of good suggestions and help. Although we spent just one night at Fierro, we chose to come back for another two nights after a trip to the country side. 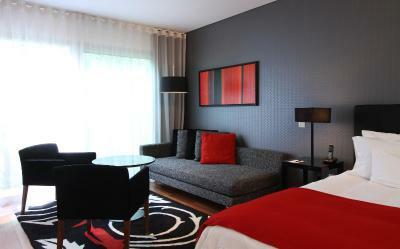 The staff were extremely helpful and the rooms were VERY nicely put together: spacious! Sheets were nice and crisp with comfy pillows & comforter. Their breakfast-OMG the BEST!!!! Love the little granola,yougurt,apple jar... so good! Best hotel experience ever. Clean, beautiful, extremely polite staff. Roberto went above and beyond to make sure we had the best service. This place is as good as everyone says it is! I will definitely come back. 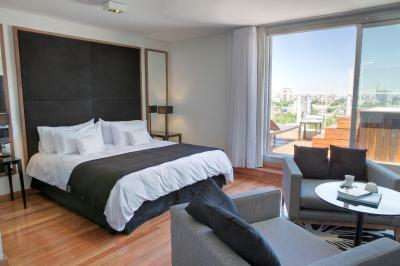 The bed was super comfy, the in house restaurant had great food, the staff was very helpful and friendly, we traveled all over Argentina and Uruguay for 6 weeks and this was the best of them all!! The location is great, the food wonderful but it's the staff that makes this hotel a gem. They went out of their way to help with both common destinations and unique corners of the city. Restaurant recommendations were truly a hit. Room was beautiful, functional and spacious. 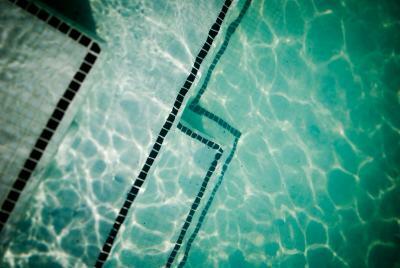 Staff could not have been more wonderful and accommodating for everything. Before departure from US they were emailing to offer assistance, suggestions and ideas for making our trip amazing. One of the best hotel experiences ever! Breakfast was fabulous. Location of hotel perfect. 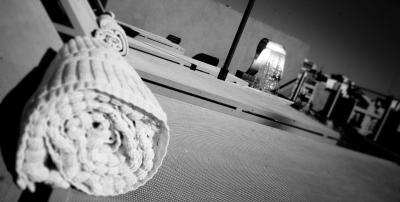 The staff was fantastic and very eager to ensure we had what we needed. The restaurant/room service was delicious. 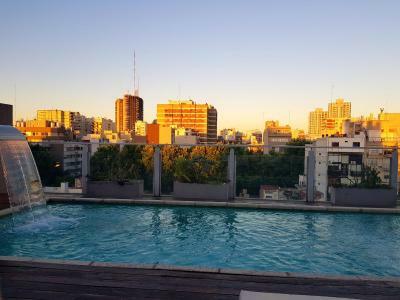 Fierro Hotel Buenos Aires This rating is a reflection of how the property compares to the industry standard when it comes to price, facilities and services available. It's based on a self-evaluation by the property. Use this rating to help choose your stay! 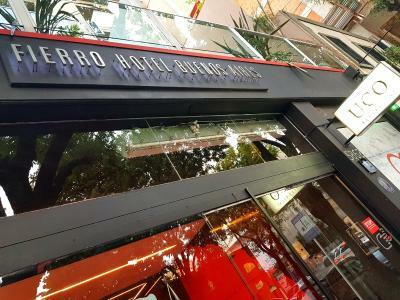 One of our top picks in Buenos Aires.Located in the center of Palermo Hollywood, Fierro Hotel Boutique offers modern and spacious rooms with free WiFi access, an iPod docking station, a coffee machine and a flat-screen cable TV. 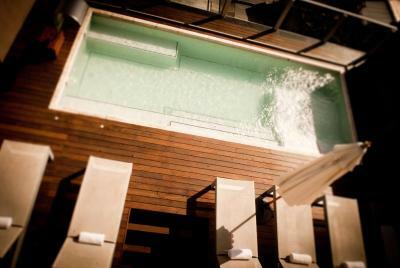 Fierro Boutique Hotel’s spa features a sauna, as well as a swimming pool with sun loungers. 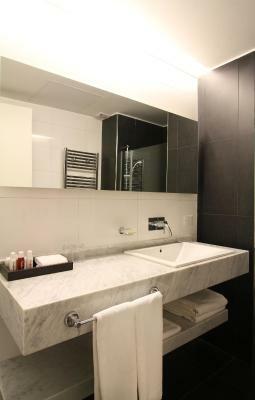 A 24-hour front desk service is also available. Local and international dishes are served at the Fierro Restaurante, which offers a wide variety of wines. 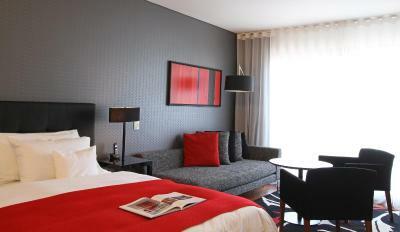 The hotel’s bar provides refreshing drinks, snacks, room service and a gourmet breakfast. Fierro Boutique Hotel is a 5-minute walk from Ministro Carranza subway station and from the city's best restaurants and shopping districts. It is also 20 minutes by car from Buenos Aires city's center. 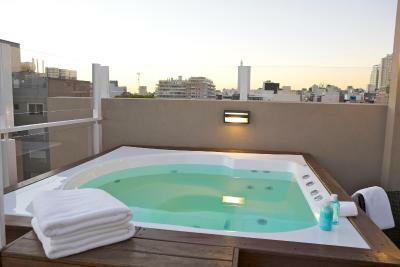 When would you like to stay at Fierro Hotel Buenos Aires? 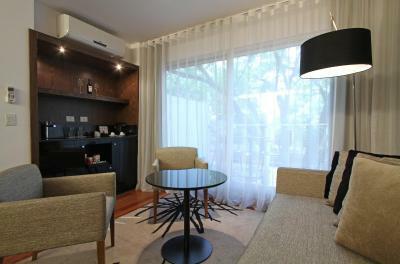 This suite located on the first floor features a furnished balcony overlooking the garden. It features a 42" flat-screen TV, cotton sheets, and goose feather quilt and pillows. 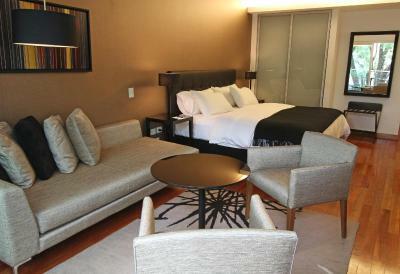 This spacious suite features a 32" flat-screen TV, Egyptian cotton sheets, and goose feather quilt and pillows. 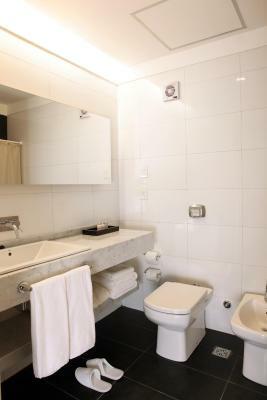 This double room features a barbecue, electric kettle and bathrobe. 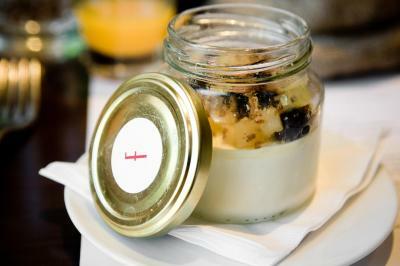 Since 2010 Fierro has been setting the standards in the bustling bohemian neighborhood of Palermo Hollywood. We are a passionate team who´s only goal is to provide our guests with a genuine boutique experience with all the amenities of a five star hotel. 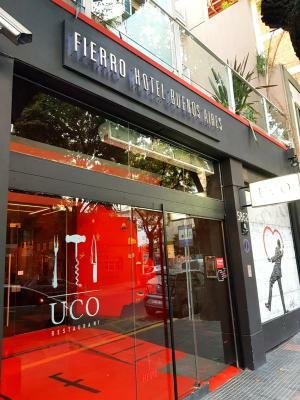 Fierro hotel and it's renowned restaurant UCO continue to shine as the star of Palermo Hollywood. 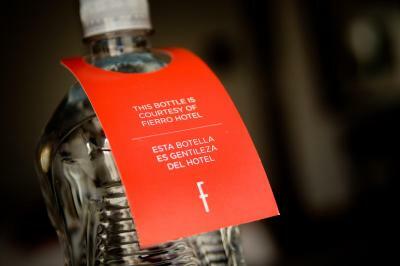 House Rules Fierro Hotel Buenos Aires takes special requests – add in the next step! One child under 16 years is charged USD 48.40 per night when using existing beds. All children under 16 years are charged USD 48.40 per night for extra beds. Any additional older children or adults are charged USD 48.40 per night for extra beds. 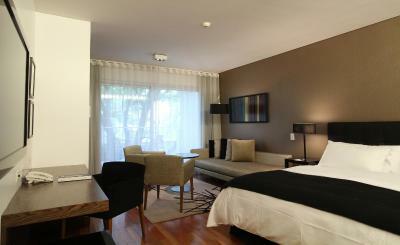 Fierro Hotel Buenos Aires accepts these cards and reserves the right to temporarily hold an amount prior to arrival. Please note that UCO Restaurant takes reservations in advance. 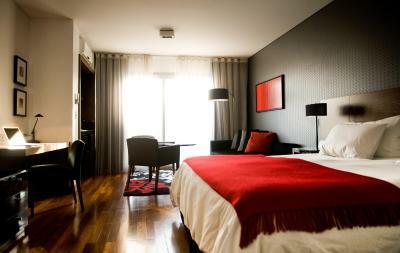 My stay at Fierro was excellent. The staff was super kind and helpful, especially with helping me get around the city and making dinner reservations. I actually felt a bit sad to say goodbye to them! 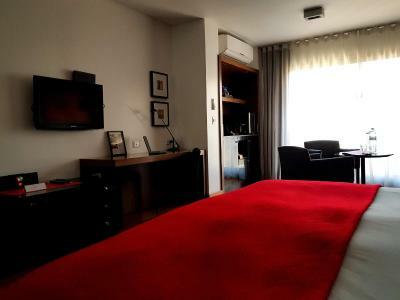 The rooms were beautifully designed and well appointed with comfortable beds, chairs and a sofa by the floor-to-ceiling sliding-door window and balcony. The staff was maybe the best staff I’ve had the fortune of encountering during my travels in the Southern Cone, helpful with every necessity and detail. 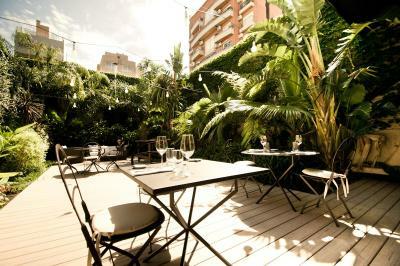 The breakfast was also amazing and eating in the back garden was a lovely way to start our days in Buenos Aires. OK so even if everything was awesome there are a few NOT important things but figured I should mention them, constructively ;) The entrance... not too impressive...actually made us almost turn in the door...the RED color everywhere-not a warm welcoming color (especially in the lobby), maybe it's time for a color upgrade? It's quite a way from the international airport. Nothing else. 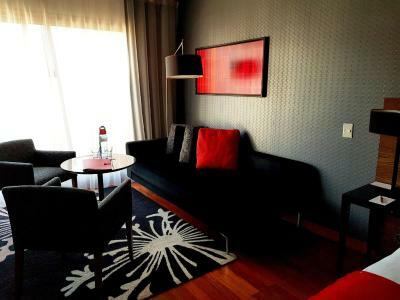 Had excellent room with large balcony. Staff are very helpful. Free wine tasting/lecture was brilliant. Very good restaurant. Good district. Close to domestic airport. front desk staff was very kind and helpful. They seem to have a good employee culture. Nice and cosy hotel with excellent staff and really good breskfast. Bed eas really comfortable. There was no shuttle service, they just called us a cab. The cab fare was $850 ARS pesos and took an hour and a half to get to the international airport.